The Windstopper is a serious, multipurpose hood made for serious winter conditions. 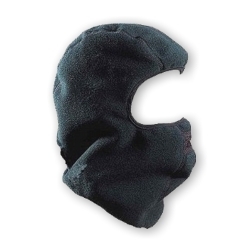 Wear these highly flexible, windproof fleece hood. Gore-Tex® Windstopper shell ,Excellent for skiing, snowboarding, mountaineering and other winter activities! The GORE WINDSTOPPER microfleece is completely windproof, with just enough for added warmth. .
o One size fits mosts.